It’s the end of August, and I know there are people out there already excited about the fall fruits and vegetables that are just around the corner. There will be pumpkins and squash and chestnuts all over town. But don’t miss what’s at the market, now! The very best plums (recipe for Triple-Plum Galette below), melons and every berry you could ask for. 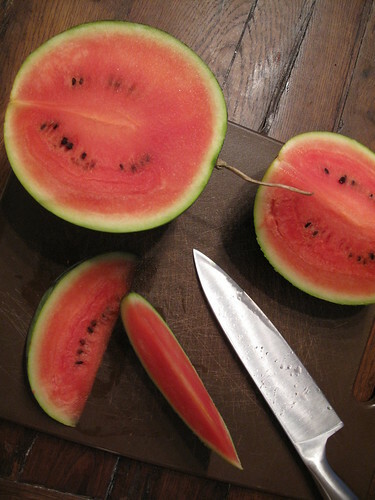 And what says summer more than watermelon juice on your cheeks and black pits to spit out? 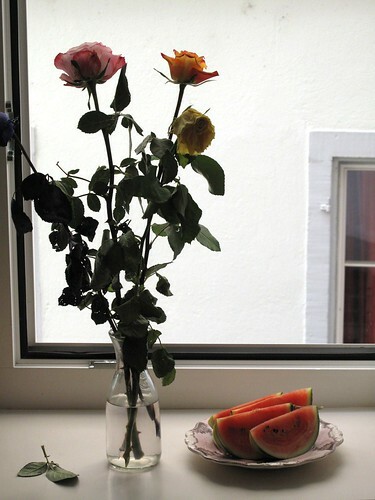 I found the most adorable mini watermelons at the market here in Zürich, just as sweet as their hefty versions we may be more familiar with, but just as juicy and fun to eat. But right now at the markets, it’s all about plums! You may have noticed the excitement amongst food bloggers lately; everyone is sharing their favorites. And with reason. That’s what I am doing here too after all! 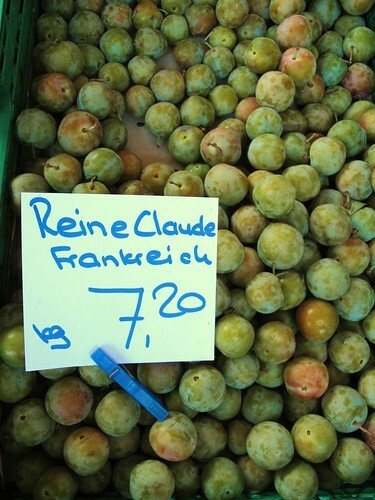 David Lebovitz loves his Reines Claudes, those little green plums with red or yellow blush from France (also called Greengage), and Dorie Greenspan loves her Mirabelles, a yellow plum, tiny in size but big in flavor. I happen to agree with them both, and have had bowls of each in the center of the table. Never a bad time throughout the day to pop one in your mouth. I especially enjoy chopping up Mirabelles and adding them to fruit salads. 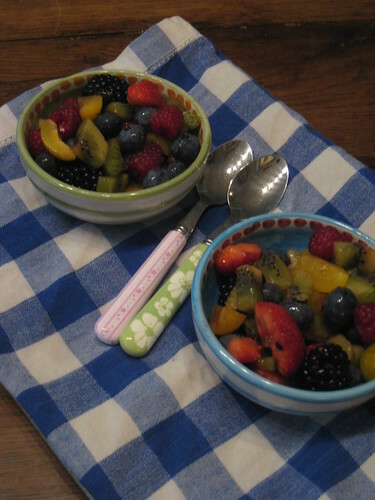 Adds a rich taste of honey and completes the rainbow of colors from the other berries and kiwi. 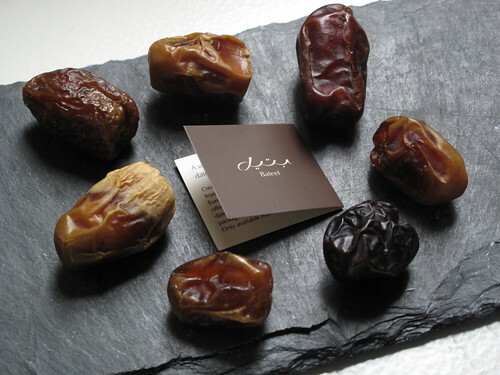 Or you could saute them with vanilla and pine nuts, as you can see in the beautiful photos on B Comme Bon. I finally bought enough one day to not only savor pure, but also to use in a Triple-Plum Galette. 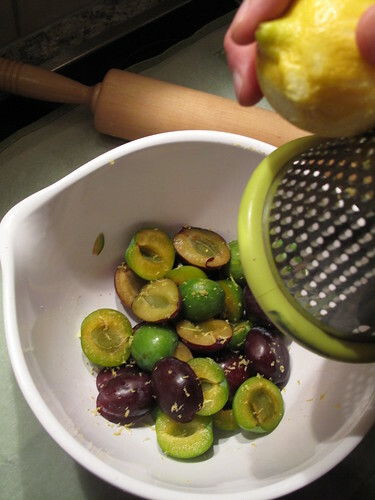 I spread a cornmeal pastry crust with Mirabelle jam and on top of that laid out a mix of bright green Reines Claudes and purple plums. A mixture of spices (cinnamon, nutmeg) and lemon zest added another level of flavor. It was fantastic, and I’ll have to do it again, perhaps with a different variety of plums- red plum jam and Mirabelles on top. 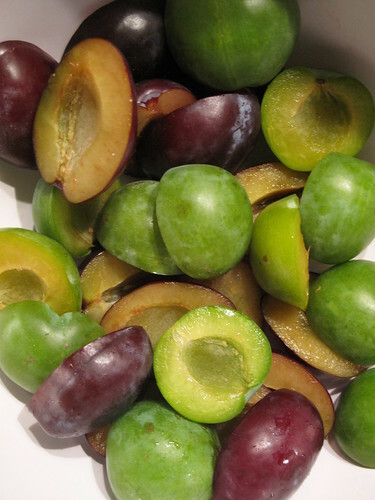 You could even use multicolored pluots, a delicious cross between a plum and apricot with fun names like Dinosaur Egg. It’s a free-form galette and the choice of fruit is just as flexible as the pastry crust. Have fun with the recipe below, and make your own Double-, Triple- or even Quadruple-Plum Galettes! Whisk all dry ingredients together. 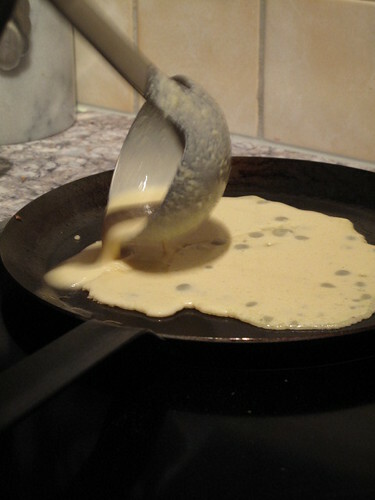 Work butter in with hands until mixture resembles coarse meal. Sprinkle cold water over dough and rework until it just holds together. Put dough on a floured work surface. Divide in half and please each half on a piece of plastic wrap. Flatten to form disks. Wrap and refrigerate one disk for at least 1 hour or up to one day before using. Place the other in the freezer for use at a later date. Slice plums in half and pit. Put in a large bowl with other ingredients, toss to mix well. Macerate for 30 minutes. 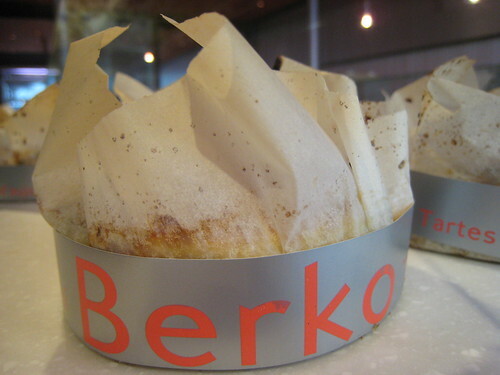 Roll out pastry directly on baking sheet covered with parchment paper. Put 1-2 spoonfuls of Mirabelle jam in the microwave for it to become more runny. Spread on pastry. Pile plums in the center. Sprinkle with sugar if plums were not too sweet. Carefully fold the pastry towards the center to create border around fruit. If pastry starts to fall apart, put galette in the refrigerator for 30 minutes before trying again. Sprinkle crust with sugar. Bake at 400 degrees Fahrenheit (200 degrees Celsius) for 40 minutes. Let cool. Serve with vanilla ice cream. 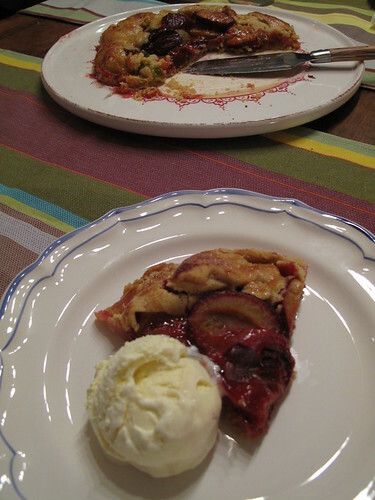 Plums are my favorite summer fruit, so I am absolutely smitten with that galette!! Gorgeous and delicious. oh Kerrin, if you only knew how obsessed i’ve become with mirabelles lately. i’ve made 3, count ’em 3 tarts so far. each one not right, in fact the first 2 were inedible. i blame my neighbor who gave us piles of mirabelles from their tree. After wasting them on the first 2 tarts i then bought some to try a tart again. before attempting my 3rd tart i bought a tartlette from the best bakery in Lux – Oberweiss. oh. my. gosh. it was heaven on earth. then i knew – my crust was all wrong, no egg this time, no cream either. just to be on the safe side i requested a tart recipe from my neighbor. i made my 3rd and final tart the day she gave me the recipe. oh, horrible disappointment. i could eat it but it was not wonderful. i rushed out to my back garden hoping she’d be in hers so i could show her my tart. she was. mine was exactly right, just like hers. sigh. edible yes, but not tdf. think i’ll post her recipe anyway. it is very, very rustic and simple to make. the crust is so different from any pastry crust i’ve ever made or tasted. it is a low sugar, rustic, thrown together tart. 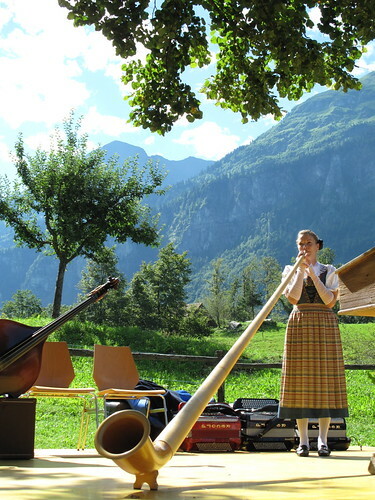 perfectly european. Looks scrumptious! I just adore fruit! I just love plums and your galette looks like I could jump right in. What a wonderful dessert for a hot summer night. Plums are so sensitive. You need to eat them quick! 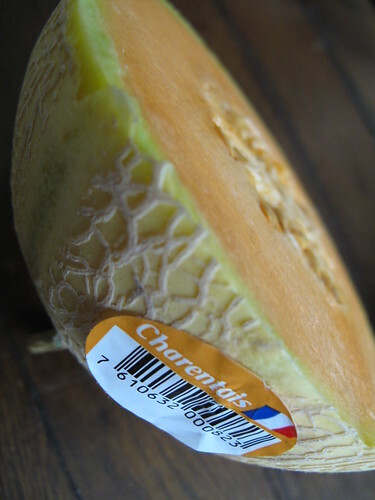 Love the one that are red inside and pluots are very tastey too. In your photos I have never seen such small plums…how lovely to be able to just pop them in your mouth. 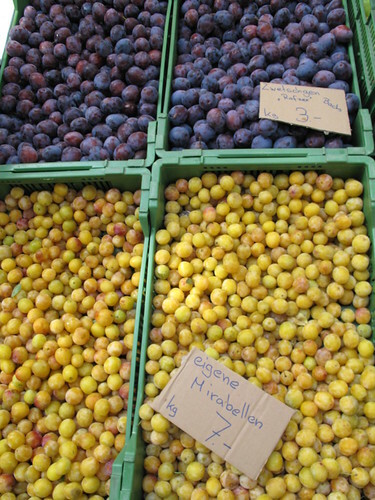 Your photographs make me want plums right now…..
Katy, wow you do love your Mirabelles! Thanks for sharing your tart adventure here. That was a lot of plums and pastry for sure. I bet your third tart WAS delicious – just different from the store bought one. One golden rule of the kitchen: never compare your rustic home baked treats with what the professional baking experts are doing! 🙂 I can’t wait to see your neighbor’s recipe on your site. 2 questions for you – what do you do with the Mirabelle liqueur? 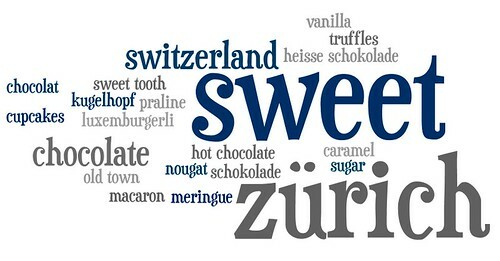 And WHAT is the name of the best bakery in Lux-Oberweiss?! Thanks again ! Sam, sorry about your nasty plums. The two batches you got were most likely different types of plums, coming from different farms or countries even. You should definitely ask the vendor at your market. 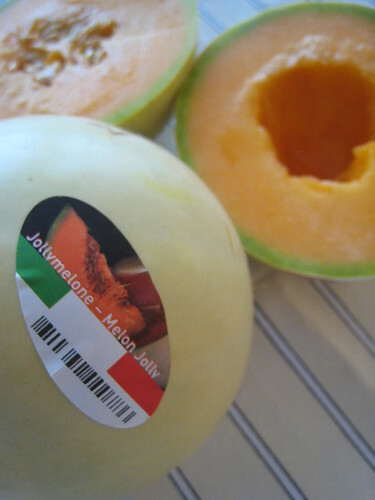 You should be able to taste one or at least have him/her slice it open so you can see the color before you buy (especially when you’re getting several pounds). Hope that helps! 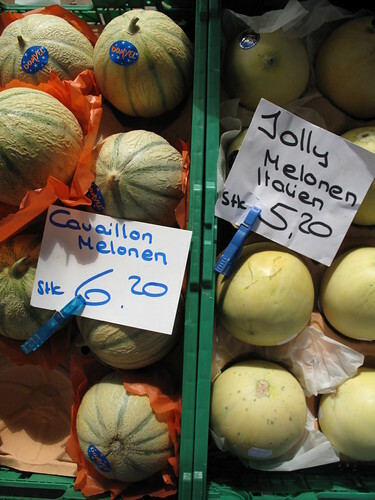 And if your market has the little yellow or green varieties, try those too ! so, it’s not really a liqueur, it is more like a grappa, a digestive that is 40% alcohol. It is served chilled after dessert. On the bottle it says – eau-de-vie-de Mirabelle. I’m not entirely sure what that means. I purchased it because my neighbor says her cousin makes it. 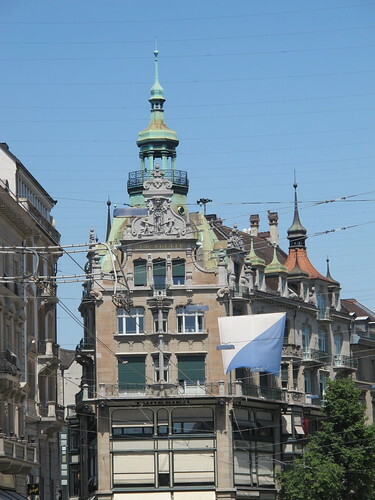 There were about 3-4 brands to choose from at the supermarket – one was Swiss. Haven’t actually tried it yet. 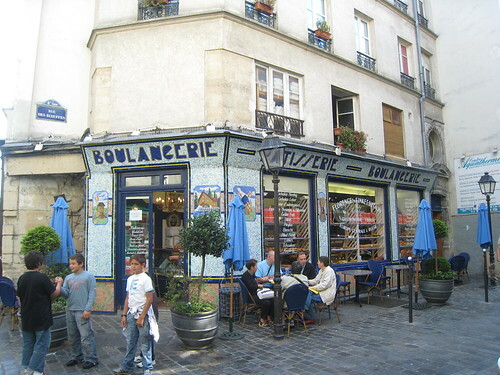 The bakery is called Oberweis //www.oberweis.lu It is known for it’s pasteries – macarons included. Actually i’ve been told the macarons are better from Wenge (also here in Luxembourg) //www.wenge.lu/ But all the older locals will tell you Oberweis is where it’s at. Meant to include my fav plums to eat – Quetsch. Like an Italian Prune only slightly larger. Love their firmness and their tart skin. This sounds wonderful, but I may have to wait until it’s a bit cooler… hard to turn on the oven when it’s 100F outside! But it certainly sounds tempting…. Thanks Katy! And aha, it’s an eau-de-vie you have there; that’s a fruit brandy – usually quite strong. How cool, your neighbor who has the Mirabelles in her garden plus a cousin who makes the liqueur! You’re all set! Thanks for the links for the bakeries too. I was obviously way too excited to realize you had already given me the name of the place above, woops! ha ha! Can’t wait to visit the websites and obviously add those places to my Luxembourg list! 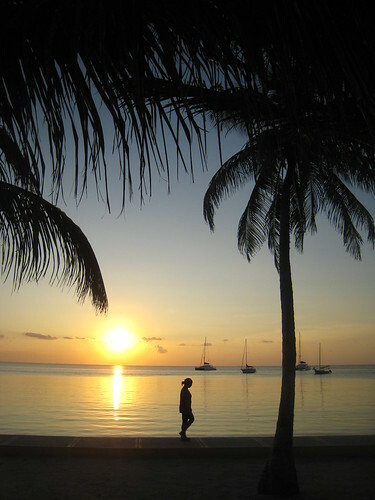 And then to plan a trip one day…! First time I’ve ever seen a green plum. What a great variety. If you didn’t know you were looking at plums you’d think they were grapes – beautiful colors. I need to eat more plums… starting today. 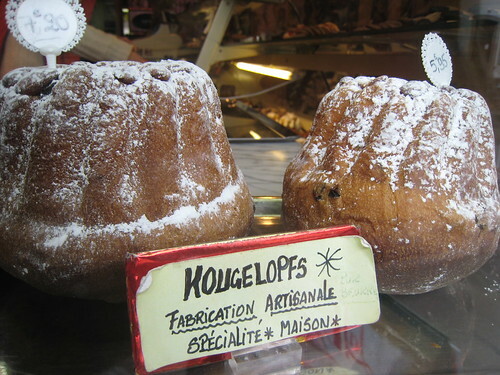 Bless you Kugelhopf! I love plums but really never dare do anything more with them then bite directly into them. I L.O.V.E. the german-style plum tart…and WHOA, this recipe for Triple-Plum Galette you just posted is sure to be a winner. Can’t wait to get into “die Bäckerei” and get backing. Thanks Kerrin for the inspiration…again! PS. Is it just me or do the Europeans have a particular affinity and interest in plums? Glad to see we’re both on the melon kick. That plum galette looks amazing! Amy, I only discovered green plums when I was living in France. Otherwise, like you, I probably wouldn’t have known what they were either! Now is definitely the time to eat more plums !! 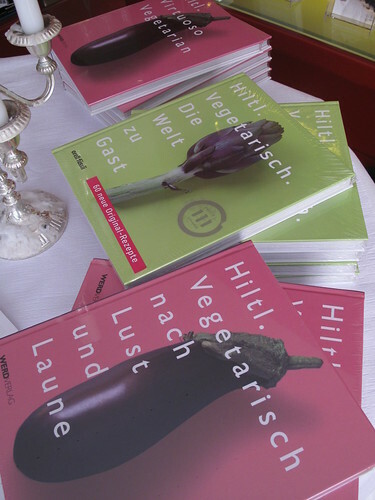 Enjoy trying all different kinds – and colors! Andrea, if you love plums, you should by all means try baking with them. Brings them to a whole new level. And you can use any type and any combination. Get baking for sure – and let us know what you made !! Oh, and I do think plums are a very popular fruit in Europe, especially Germany. 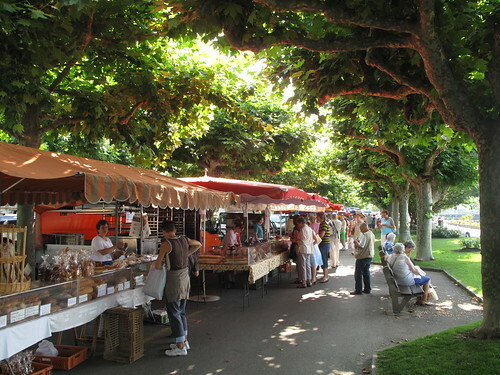 And in France they have so many lovely varieties. Gotta take advantage of them while we can! El, thanks! 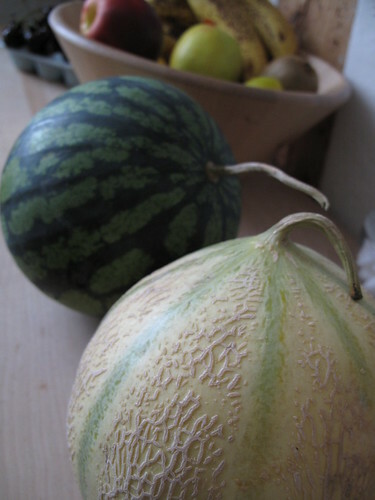 What kind of melon do you prefer ?? The plum galette sounds amazing. I love using cornmeal in my sweet and savory crusts. Eileen, I’m a big fan of using cornmeal too. 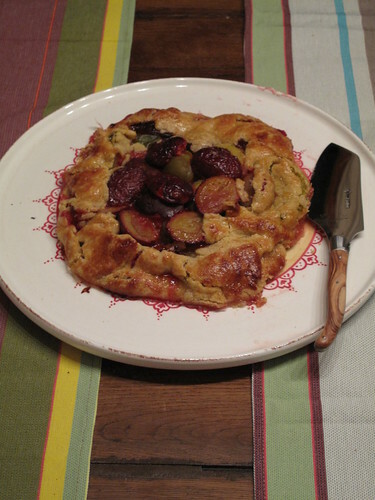 Hope you can enjoy the plum galette while those little beauties are still in season! Kim, thank you so much! Once the weather gets cold, you can bet I’ll be baking fruit galettes often, and with a cornmeal crust for sure – and wrapping myself up in a quilt while I eat huge slices… next to the heater! haha! Wish I had a fireplace here. But I’m not quite ready for the cold weather yet… more summer please! 😉 Can’t wait to see your galette !! Kitchen Butterfly, wow you’ve done some pretty fantastic French baking lately! Go for the galette, and let us know how it turns out for sure. Bon appétit ! Kerrin, your Galette looks delicious. 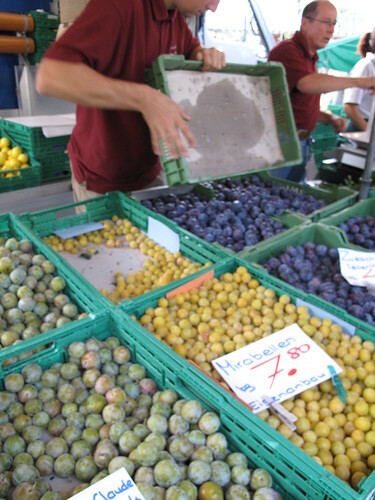 I love plums and Mirabelles are my most favourite – every summer I look out for them at the farmers’ markets (their season is short) and buy loads of them to make jam and all kinds of baked goods. I also throw them in salads and they’re great for chutneys. Sometimes they don’t even make it home because I love to eat handfuls of those little sweet plums. They freeze well, too – my friends were surprised when I baked a Mirabelles cake for them in the midst of winter. Finally made mini plum galettes. They were OK, the plums were a bit too tart for my liking. Anyhow, It was well worth the it, all the better to tick off one and say yes, another French dessert ? conquered! Marlen, wow you are a Mirabelle pro! You’re right, the season is extremely short, so it’s an excellent idea to freeze those little guys and enjoy them all throughout the year. 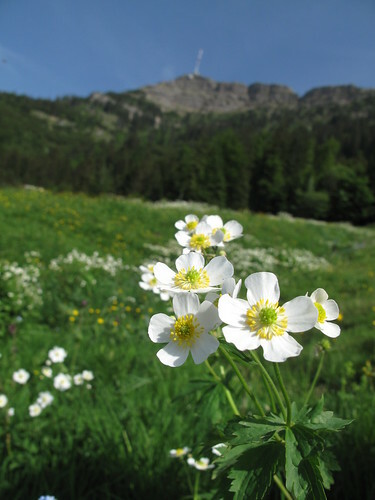 During the winter, it could be interesting to cook them in a sauce and serve with meat – kind of like winter meets summer. Hmmm…! Kitchen Butterfly, thanks for sharing – and bravo for this additional baking feat! Next time, perhaps try adding more sugar to offset the tartness.